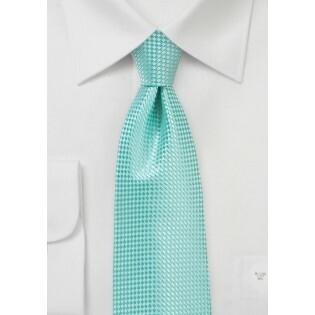 From the fashion-forward menswear designers at Puccini, this Men's Tie in Beach Glass Green adds a soft touch to sharp suits and blazers. Pair it with a white dress shirt and sharp charcoal gray suit for a look that's just as welcome in the boardroom as it is at Happy Hour. 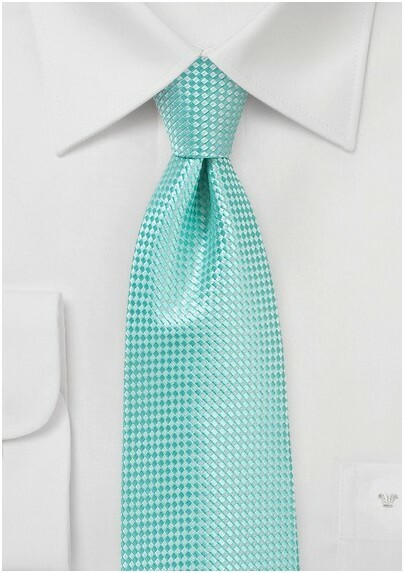 Jacquard woven from microfiber and constructed by hand.